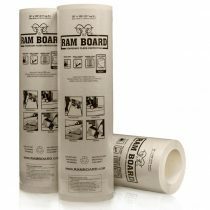 Ram Board for temporary heavy-duty floor protection. Very cost efficient as it can be re-used time and time again. It’s exclusive SPILL GUARD technology gives extra protection against paint, stain, mud, water and more. Made out of 100% recycled materials, making it good for the environment. 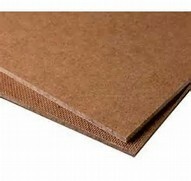 Made in U.S.A.
Tempered hardboard available in 1/8″ and 1/4″ thicknesses. Ideal as a furniture component, underlayment, wall paneling and temporary floor protection. Has a very smooth face and paints well. Sold by the full 4’x8′ sheets only.